Millions know the iconic logo and ubiquitous signature but few know the man behind the larger than life label. Ultimately we seek to answer the question: Who is Pierre Cardin? What is the story behind this legendary icon? 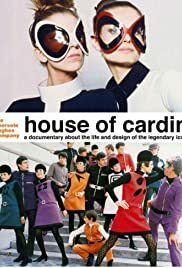 House of Cardin is a rare peek into the mind of a genius, an authorized feature documentary chronicling the life and design of Cardin. A true original, Mr. Cardin has granted the directors the exclusive access to his archives and his empire and promises unprecedented interviews at the sunset of a glorious career.